Terry Owens from Tech Support gives a tip about the Start Button on the FLEX and IKON Lane Machines. 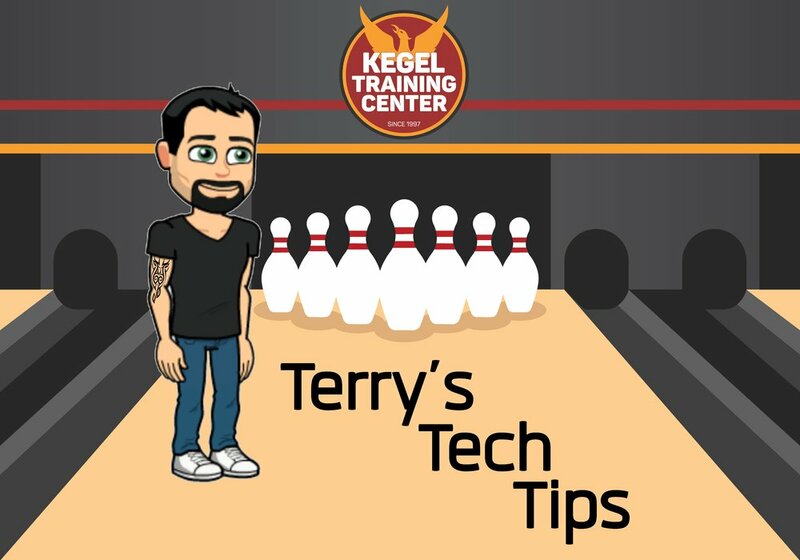 Terry Owens, Director of Tech Support introduces a new video series straight out of Kegel. Terry will be providing the world with tips about lane maintenance and the lane machines produced at Kegel. Before making any adjustments to the conditioner pattern, make sure that your lane machine is cleaning properly. Question: Ball reaction is weak after a game and a half. How do I reduce my carry down? Answer: Typically the applied oil distance forward is too far creating too much conditioner towards the end of the oil pattern. Reduce the applied distance of conditioner and add to the reverse to prevent the loss of durability. Question: Ball reaction is strong from the beginning and does not weaken making ball reaction unpredictable. How can I tame my back ends down? Answer: First, try lengthening the pattern, one foot at a time to the desired result. Second is to change to higher speeds earlier in the pattern to raise the level of conditioner at the end of the pattern. Question: The pattern plays good from the beginning yet loses hold through the night. How do I increase the hold? Answer: The applied conditioner on the reverse is what creates durability, this area known as the mid-lane provides direction to the breakpoint and dictates score-ability. Starting reverse oil further down the lane increases hold. Question: My bowler's tell me "the heads dried out". How do I control early hook? Answer: First, watch ball reaction, bowlers rarely see what they think they see. In most cases the ball actually hooks too early through the mid-lane. Poor lane surface or lack of conditioner in the lay-down area can also be a cause. In this case, slowing the travel speed in the head area on the return will increase the amount of conditioner in this area. Adding loads in Sanction Technology along with a slower machine speed will increase skid through the heads. However, many times today with the amount of conditioner being applied to the "heads", if the ball is hooking early, there are lane surface issues. Question: If I get the ball right, it "hangs" outside, 2,8,10 city! How do I create more room right? Answer: This is a hard one to recognize, because it has multiple and opposite causes. Too much conditioner on the outside (ball skids too far) or in some cases not enough conditioner on the outside (ball loses energy) can cause "hang". If the ball skids to far, reducing the length and/or volume of the applied conditioner will help. A wet/dry condition will result in too much skid inside, giving the appearance of "hang" and a loss of energy if the ball enters the dry too early creating a weaker back-end reaction. Many times the amount of conditioner in the middle is the cause of "hang" and not the amount on the outer boards. Reducing the amount of conditioner in the middle, raising the outside, and using speeds to lower the overall height of a pattern will increase ball reaction and create more playable angles. Adverse lane topography can affect swing. If this is the issue, reducing the outside condition will allow bowlers to play a more direct line to the pocket. Question: The bowlers seem to move left very quickly because the track dries up. What can I do to prevent this? Answer: The volume at the end of the pattern should be slightly more than the outside boards. Applying oil to the track on the reverse can provide more durability without greatly affecting overall ball reaction. With Sanction Technology and board-by-board capability, widening loads one board at a time to get the desired affect can provide the quickest way and retain stability. Question: How do I determine my cleaner ratio? Answer: The best idea is to phone the manufacturer for their recommendation. All conditioners are different and clean off the lane differently. For example, Defense lane conditioner is usually stripped at a 4 or 5 to 1 ratio, while Offense can be cleaned at 8 or 10 to 1. This is something that you can experiment with, however, it is not recommended to weaken the stripping solution throughout the entire lane to control the back-end reaction. This can cause for poor cleaning and create numerous other issues. Question: How does temperature affect my lane conditioner and lane machine? Answer: If you are using wick machines, it is highly recommended that you store the machine and conditioner in a place where it is room temperature and will remain constant. This will prevent inconsistent flow through the wicks due to changes in viscosity. In some conditioners, a 1-degree change in temperature can affect viscosity by 2 points cps. This is important for those with Sanction Technology to control the pressure and prevent possible damage to the gauge. Answer: This is an issue related to wick machines more so than Sanction Technology. Most centers try to reduce depletion one of two ways, either running in separate mode or stopping every so many lanes and letting the machine rest. The separate mode is recommended due to the consistent time in between the oil and strip mode. While the lane is being stripped, the wicks have that time to recover and it is the same from lane to lane. A major issue in resting the machine several times across the center is that it creates a stair step effect of gradually less, than more conditioner, repeated across the lanes. Question: How does buffer brush wear affect my condition and what should be done upon installing a new one? Answer: The buffer is designed to taper an oil pattern based off the pattern settings and speeds. As a buffer wears the amount of conditioner at the end of a pattern gradually diminishes over time. This is usually not something bowlers notice and will not come to your attention until you are told that you do not have "three units" any longer. Simply put the brush doesn't hold the conditioner as long as when new and "dumps" it further up lane and creates a steeper taper in the pattern. When replacing the buffer after this gradual wear and even though the pattern settings are the same as when the buffer was new, the effect of a new brush will seem dramatic to the average bowler. It is highly recommended that this be done in August so the change is not taking place mid-season. The frequency of changing the brush is affected by many factors including number of lanes, how good the lane surface is, and what type of lane surface it is. The more friction the faster the wear. Smaller centers with 24 lanes or less may see two years between buffer changes. Centers with 24 lanes and up may change the brush every year to every six months in centers with a lot of lanes. The entire lane is polished unless the pine is the early configuration, non-laminate printed pine. At centers having printed pine, only the maple laminate is polished. At centers having maple and pine laminate, the lane is divided into three sections. The first section is maple, the second section is 1-1/2" pine panels in the center of the lane, and the third section is the remaining pine laminate. 1. Clean lane with a lane duster starting at the foul line with a clean surface. Ratchet duster at pin deck and pull back to foul line. 2. Clean entire lane. A vacuum lane stripper is recommended for this procedure. NOTE: Using a combination machine make sure it is on stripping only. Use a crossing pattern in the first 8 feet of the first section as shown in figure 3 until you hear the noise from the screen begins to dissipate. From there going with the lane at a slow but steady pace, polish the out side right through the section and return back towards the foul line in the left track area. Proceed down the outside left and return up the right-hand track area as shown in figure 2. Continue back down the middle of the section to the next section and use the same pattern there. After completing all sections polish straight back to the foul line through the middle of the lane. At this point flip the screen over and use that side for the next lane. After completing the procedure with the 180 grit repeat using 320 grit disk. 1. Clean entire lane with a duster. 2. Strip entire lane with a vacuum stripper. NOTE: The screens should be "burned "before using. This can be done by quickly running both sides of each screen against a concrete area to take the edge off the screen. When starting the buffer it is a good practice to pull the buffer across the lane. This avoids scratching the surface during start up. Bowling lane maintenance is more than just pushing a button on a lane machine and applying oil to the surface. Its also requires giving attention the approaches, gutters and capping which all get dusty. Maintaining all of this area on a daily schedule is important to provide the best service to your customer. Your lane machine also benefits from keeping all of this clean. Here are a few suggestions that should be followed to maintain your bowling center. 1. One of the first things that should be done each morning is a walk across the approaches, break out the coffee. This is when you find out if the lanes, gutters and approaches were dusted the night before. This is also great time to inspect the approaches for any kind of possible problems that just jump out at you. 2. Walking the lanes each morning also gives you a chance to see what left over oil looks like in the applied area and what it looks like on the backend as well. It is possible to see many things from unusual amounts of dirt to possible stripping problems with the lane machine, who knows what can be found. 3. Dust gutters, caps, and division rails each and every day. This will help reduce the amount of dirt that the lane machine pulls in to the conditioning compartment. Its sounds like a lot of work but so what, it just needs done. If you want to provide the best it will take time and besides, it’s just easy to remember if it’s done every day. 4. Dust your approaches no less than three times a day if not four. Some areas of the world or the country will require this just to keep them from looking like they can plowed to get ready for planting. 5. Dusting your lanes in-between conditioning is another big bonus that seems to be kind of a lost art. High lineage and dusty lanes are a bad combination especially if your lanes are synthetic. Dust will increase the wear on the surface and reduce the life of your lanes - not including the changes that will result in just the way the lanes play. 6. The approaches are very important to good customer satisfaction and should be paid attention to very closely. Besides frequent dusting, buffing with a rotary buffer can improve the slide consistency and cleanliness of your approaches when done regularly. 7. The lane machine should be kept spotless - the only side effects from doing so is finding problems before they become nightmares. Another thing that affects the cleanliness of your lanes is your pinsetters and ball returns or anything that the bowling ball comes in contact with. All kinds of dirt come from these things along with grease and oil which is very difficult for any lane machine to clean off. All Kegel lane machines are driven by DCV drive motors that are designed with two carbon style brushes, one on each side of the motor. As the brushes wear down over time, carbon dust particles build-up inside the head of the motor between the stator (field) and the rotor (armature). This build-up can cause a short inside the motor. To prevent a dangerous build-up, it is important to routinely remove the carbon brushes, and blow out the motor with air to remove any carbon build-up. Note: If you use an air compressor, please insure that the air-lines are free of moisture before evacuating the motor. If the brushes are several years old, they may need to be replaced. Each brush is manufactured with a tension spring that keeps the brush in constant contact with the rotor of the motor. The shorter the carbon fiber brush becomes the less tension there is on the rotor. As many bowling centers close during the summer months, it is especially important to properly prepare your machine to begin a new fall season. If this is not done, it can lead to restriction to flow in the system, or problems with ball reaction at an inconvenient time after the league season has begun. In order to stay ahead of Murphy ’s Law, I urge customers to follow the Boy Scout motto and “Be Prepared.” You will thank yourself for performing this preventative maintenance on your machine. The first thing you will need to do is get the machine out and drain the fluids. You will then want to remove both the oil and cleaner tanks individually and perform a thorough cleaning on them and the filters. Inspect the tanks to make sure there is no sediment or residue from the previous conditioner or cleaner left behind. It is important to flush and clean these tanks whether you plan to use a new batch of the same conditioner or intend to switch to a new conditioner altogether. Once the cleaning is complete and machine is intact, you should turn the machine on and check that oil is flowing freely through the oil lines. You will be looking for a consistent PSI reading. If the pressure readings are too high or too low, this indicates that there may be a problem in the oil lines. This is also a time of year where many centers will experiment with new oils or patterns. I always recommend that changes be tested before the season begins. This allows time for you to decide what is right for your center and make pattern changes or adjustments if necessary. If your center will be using a new oil, I suggest keeping the same pattern for testing. Changing only one of these variables will give you a better comparison of the new versus the old oil. This should help to ensure that you maximize your machine’s performance and decrease the risk of problems sneaking up on you once your season has begun. Take care of your machine, and it will take care of you. And if it doesn’t, give one of our Techs a call at 1-800-280-2695. “The oil pattern didn’t play anything like it did at home!" Often times I hear this comment and there are many reasons why this can happen. Frequently, the center that you are going to bowl the tournament in, say for example the USBC Open Championships, is using a different brand of cleaner, different oil, and a different lane surface, not even taking account of one of the biggest differences; topography. Those are very obvious factors, but often people think that because they have the same lane machine as at the tournament site that it should cover all of those differences. Ultimately, even if you have the same lane surface, oil, cleaner, and lane machine, differences will still remain. One of the differences we see often is the physical condition of the lane machine. Even though each Kegel lane machine leaves the factory meeting all of our strict adjustment and performance specifications, what happens to it from there is totally dependent on the maintenance (or lack thereof) that is given to it. For an example, let’s compare two cars: Two 2011 Chevrolet Corvettes. One Corvette lands in the hands of a business man who uses it strictly as a commuter car. He washes and waxes it every week, changes the oil right at 3000 miles, and always uses synthetic oil. He manages to put 25,000 miles on the car in a 12-month period. The second Corvette ends up being a rental car. The car is in numerous drivers’ hands many of which perform routine burnouts and jackrabbit starts. This car also logs 25,000 miles in a 12-month span. Though both of these cars started their life exactly the same, do you think both cars are going to look the same and perform the same after 12 months? Do you think the interiors are going to be the same? It wouldn’t surprise me if the rental car’s transmission doesn’t shift as crisp and probably a few of the basic items are a little more worn out (brakes, parking brake, tires, etc.) All I know is, I’ll take Corvette number 1 and you can take a chance with the rental car - haha! Knowing this, do you think all lane machines are treated the same? We’ve seen many lane machines after one year look like they’ve never been cleaned! Oil drips out of the vacuum motor (where it never should), the transfer brush is filled with dirt and hair, the paint is peeling off due to cleaner being spilled on it numerous times, and the frame has been tweaked throwing the factory adjustments out of spec since the machine has been dropped more than a half-dozen times due to negligence. Do you think that this machine I described above will put out the pattern the same way the brand new machines we have at the USBC Open Championships will? Do you think the pattern will be the same with a machine that doesn’t clean the lane well because the squeegee blades or cushion roller have never been changed? Do you think the pattern will be the same even if the cleaner tank filter is clogged and the Norprene cleaner tubing hasn’t been changed in over a year which results in half the amount of cleaner coming out (resulting in poor cleaning) and now you’re oiling on top of a film? Do you think the pattern will be the same even if the transfer brush has so much dirt in it that it keeps the oil in the transfer brush an extra 6 feet down the lane? Many factors will make a pattern play different from center to center but often one of the biggest is the physical condition of the machine itself. Stay up with the maintenance of the parts that commonly wear out; squeegee blades, buffer brush, cushion rollers, etc., keep the machine clean, and your lane condition will be more consistent from week-to-week and month-to-month.